This fly works well when the rainbow are feeding on daphnia, or fresh water flea. It can also be mistaken for a minnow or Dragon fly nymph. The problem producing this fly is in getting the partridge feathers, either English or Scottish. The wing is tied in pairs, 8 hackle's killer style Longshank. 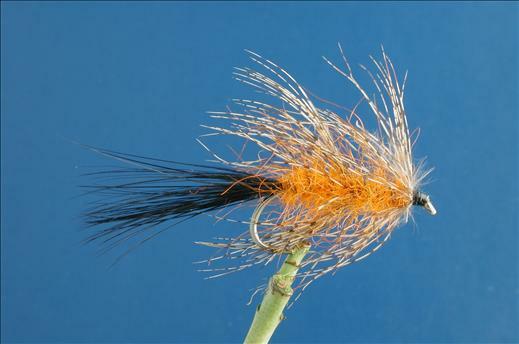 Currently there are no comments about the Partridge & Orange fly pattern from other fly fishermen yet.